Whether Britain is better off economically inside or outside of the European Union, we can be sure of one thing; the EU is and will remain an undemocratic, bureaucratic mess. Not only has the EU never received a warrant from the British public to decide our laws for us, but the key institutions within it aren’t elected by the European population. The miserable attempt by David Cameron to secure a ‘better deal’ for Britain from the EU shows that this is never going to change. I am not arguing that the EU is sovereign over us. At any time, Britain can withdraw from the European Union and become a self-ruling democracy once again. However, in the mean time we have temporarily handed over the ability to rule ourselves; we are intentionally surrendering our sovereignty to an undemocratic, stagnating, bureaucratic and increasingly authoritarian body. Rather than the liberal beacon of hope some are trying to portray the EU as, it’s a backwards and elitist organisation which favours the wealthy and the politicians over the normal, European and British citizen. For all the arguments the EU debate has brought up (over the economy, immigration, xenophobia and Britain’s influence to name just a few) we should be able to agree on one thing; the EU is not democratic. Let me first tackle the argument that goes somewhat along the lines of: ‘the EU Parliament is elected so the EU is democratic’. If you believe this, you are deluded. The European Parliament is like no other ‘democratic’ parliament on this planet. It is unable to submit legislation and it is unable to repeal legislation. 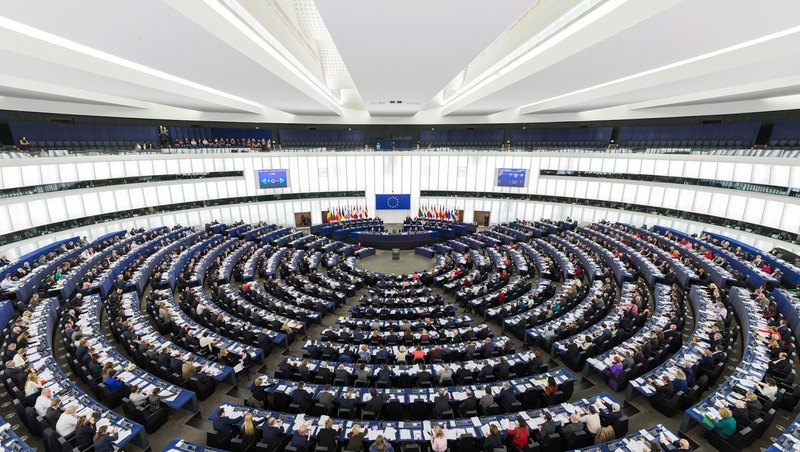 Although the EU Parliament is supposed to be able to reject legislation, according the official Parliament website, while “the European Parliament may approve or reject a legislative proposal, or propose amendments to it… The Council is not legally obliged to take account of Parliament's opinion”. "Essential to democracy is the ability for the people who are governed to be able to remove the people who govern. It is the role of the European Commission (an appointed, not elected, body) to propose legislation. Already we have a huge democratic deficit. An unelected group sets the agenda. Remember, the Parliament, is unable to propose legislation. This means that all the laws the EU passes are proposed by the unelected commission. How can anybody argue that these laws have legitimacy by the people of the countries they apply to, when the people we elect to represent us have no say on which laws are being proposed and are not able to propose their own laws? Imagine if this was applied to our domestic democracy here in Britain. In this situation, parliament (the House of Commons and House of Lords) is unable to propose laws and is unable to repeal laws - instead this is done by an unelected group of bureaucrats who aren’t chosen by the British people but by bureaucrats. Suppose they introduce a law which we don’t like – what can we do? We don’t vote for them so we can’t remove them from their position. We can go to our elected representatives in parliament – but they can’t do anything as they don’t have the power to introduce or repeal laws. It would effectively be a dictatorship: an unimaginable situation for Britain – a country proud of its long-standing democratic principles. "At any time, Britain can withdraw from the European Union and become a self-ruling democracy once again. Essential to democracy is the ability for the people who are governed to be able to remove the people who govern. They must be accountable. We certainly wouldn’t dream of implementing a system like this in Britain today and yet it is a reality that exists in the form of the European Union. The way it has gradually expanded to take more and more control away from national parliaments means that its undemocratic nature has gone almost unnoticed. We wouldn’t stand for this as a way of ruling our own country, so why stand for it as a way of ruling 28 countries? It isn’t just the blatant undemocratic nature of the EU that contributes to the ever-growing democratic deficit which defines the organisation. The turnout for the European Parliament is extraordinarily low. In the first European Parliament elections in the 1970s, turnout was around 70%. As people have become to realise that the MEP they elect has virtually no power or influence, they have become increasingly apathetic towards the EU. In the latest set of voting in 2014, turnout was an abysmal 40%. These statistics are for the EU as a whole; in Britain turnout was even lower: 35%. In fact across the EU, turnout for these elections has decreased poll after poll – never has a turnout been higher than the previous one. People don’t believe their vote makes a difference. They’re right, and it shows. "Rather than the liberal beacon of hope some are trying to portray the EU as, it’s a backwards and elitist organisation which favours the wealthy and the politicians over the normal, European and British citizen. I’ve barely scratched the surface in showing how the EU is not democratic or accountable. Throughout the organisation you will find bureaucracy built upon more bureaucracy and it is in the seemingly-endless amount of appointed committees where you will find the real people who make EU law and exercise power over Britain and the 27 other member states. It is insulting and unbelievable that the EU continues to try and pass of the European Parliament as its democratic core; the (unelected) Commission is above the parliament in every way. The European Union is undemocratic and that is not going to change.